Oh where or where can those Junior SQL Server Database Administrator jobs be? You are NOT trust worthy until you are trustworthy. Only a chosen few IT associates get to manipulate the corporate data. Many companies rely on one Database Administrator. You are responsible for monitoring and securing the corporate data 24 x 7 and must have knowledge to fix the issues quickly. Most database projects, especially on agile sprints, require committing working code on a regular, consistent and tested basis. There is no time to hold hands training someone with no or little experience. Mentors for junior level SQL Server database administrators do not exist or generally not gonna work with you enough to get you up to speed quickly. And a newbie is NOT gonna qualify for any of the above. But don’t be totally discouraged, here’s why you might start seeing some Junior SQL Server Database Administrators job ads. Companies are sick of consultants and outsourcing resources that end up wasting time and money on failed projects. Companies will be forced to mentor database administrators (hmmmm maybe not). Baby boomers are leaving the workforce by the thousands daily. Lots of baby boomers in IT were trained by mentors in ‘the good old days’. The baby boomers are also leaving with tons and tons of problem solving abilities based on past experiences. Companies will be forced to mentor junior database administrators. (hmmmm possible but not likely). So how do you setup your career to become a SQL Server Database Administrators role? Work in another area of the IT department to get your feet wet using SQL Server. 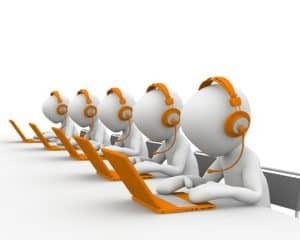 Perhaps the reporting group or support desk. Oh don’t believe everything you google about nobody ever gets a Junior SQL Server Database Administrator job that way. Smart companies will want to train and promote from within because it COSTS THEM NOTHING. Take a position such as the IT help desk, QA, technical support desk, or development teams where you will be forced to write T-SQL. Learn SQL Server fundamentals and T-SQL on your own via webinars, books, online training, etc. Microsoft even lets you download SQL Server Developer edition for FREE! You can lean the basic SQL Server skills that are required for you to get the Junior SQL Server Database Administrator job. But most important is that you want to learn the database schema of the corporate systems and how all the tables are related. This is the most underrated way but perhaps guarantees the fastest track to get a job as a Junior SQL Server Database Administrator. Yes that is how you can get the Junior SQL Server Database Administrator job even when an opening for a more experienced DBA is posted on the corporate website. Knowing the data schema of the corporate systems is as important as knowing SQL server basics and being proficient in T-SQL. Polish those skills and you can fast track yourself into a SQL Server Database Administrator role. 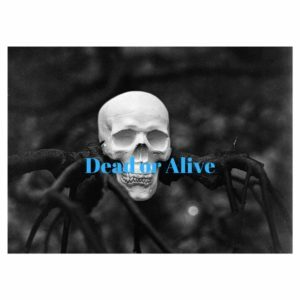 Deadlock or alive? DBA who dunnit solved?